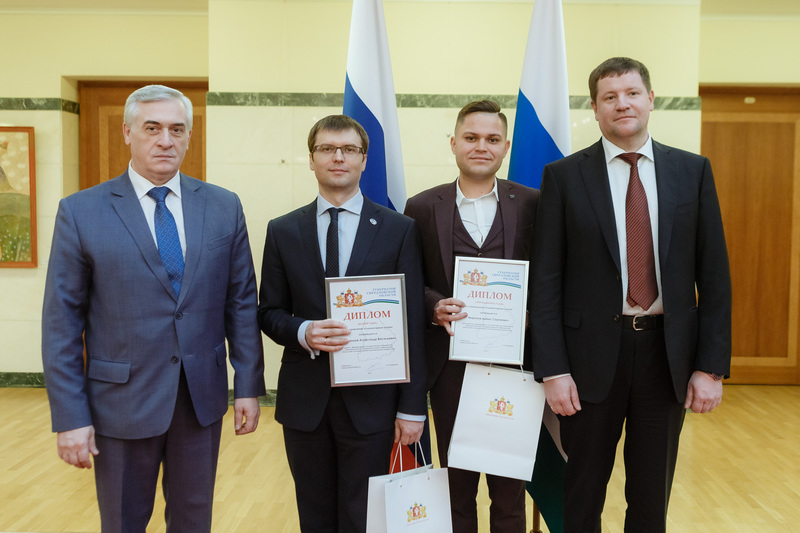 In accordance with the decree of the Governor of the Sverdlovsk region, prizes were awarded to Alexander Kurdyumov in the category "Associate Professor of the Year" and Denis Mironov in the category "Lecturer of the Year." This year the contest was held for the eighth time. The first one was held in 2012. In total, 59 applicants from 15 universities in the region were presented for the prizes of the Governor of the Sverdlovsk region. In the near future, you will have a chance to read interviews with the laureates.